The Shark Research Institute (SRI) was founded in Princeton, New Jersey in 1991 as a center of scientific research. The organization maintains field offices across the world in places as far reaching as Mozambique and India. 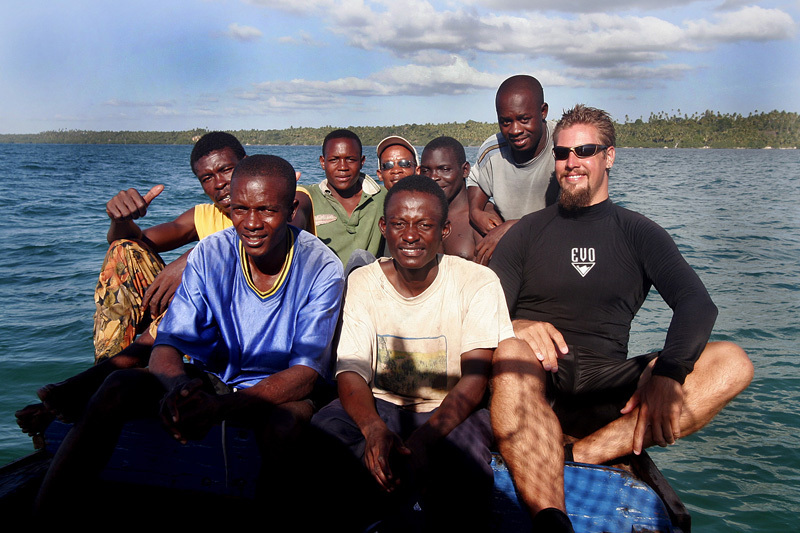 SRI is a 501(c)(3) nonprofit with the mission of studying and protecting sharks and their natural habitats. SRI and its scientific research team aim to correct misconceptions about sharks and instead teach the general population to value sharks as a vital part of the global ecosystem. Marie Levine, executive director at SRI, oversees the day-to-day running of the various networks of scientists, field researchers, members, and donors that are involved in current SRI conservation projects. Levine is quick to point out that the SRI is the oldest shark conservation organization in the United States. While some scientists are marine biologists and shark behaviorists, many others “represent most branches of science, from genetics to medicine and physics, computer science, education, law, and history. This diversity of perspectives may be our greatest strength.” She goes on to say that they even have a few filmmakers on staff. So, how did the first major center of shark research in the United States come to be located in Princeton? The answer lies partially with Princeton University. It was Princeton University faculty members and fellows of the storied Explorers Club that came together with the desire to conduct and sponsor research on sharks and to promote their protection. 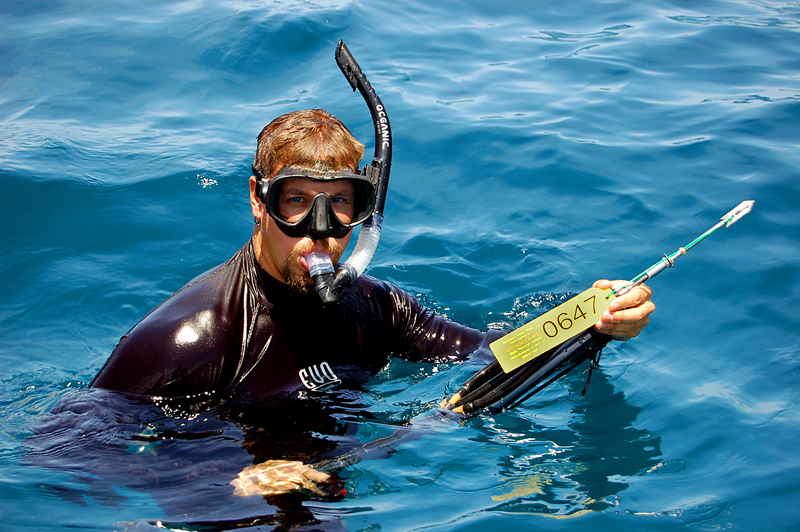 As word on the creation of SRI got out, many divers from the Princeton area wanted to get involved. Thus, SRI was born. Permanent field offices are maintained in the United States, Canada, South Africa, and Australia, while seasonal offices are located in the Caribbean, Costa Rica, East Africa, India, the Philippines, and throughout the Pacific. 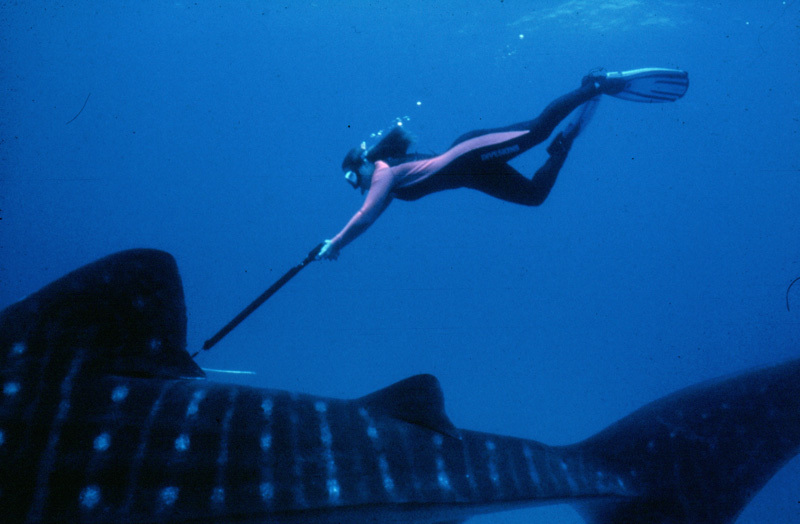 Levine said that current research focuses on “DNA studies and satellite and radio tracking of sharks.” These research techniques enable scientists to determine where in the world to focus their conservation efforts; in other words, where sharks are at the highest risk. Current shark culture is shaped by many factors, including the popular 1975 film Jaws, based on Peter Benchley’s 1974 novel of the same name. Benchley later became a fierce advocate of marine conservation and was one of SRI’s strongest supporters. Under the constraints of low visibility a shark may mistake the foot of a surfer for a fish. Sharks also learn to find food where they can, and fishermen often throw bait and chum off of piers and along beaches where swimmers may be only a short distance away. For nearly 25 years, SRI has maintained the Global Shark Attack File (GSAF). The website, www.sharkattackfile.net, contains an ongoing incident log with accounts of recorded shark attacks from 725 B.C. to the present. Data is compiled from onsite investigators, medical professionals, researchers, and police. SRI hopes that the GSAF will calm the nerves of fearful surfers and swimmers by proving just how infrequent shark attacks are. Also, the data shows that most victims are injured and not killed by the attacks. In defense of sharks, SRI wants the general population to understand how vital a role sharks play in the global ecosystem. Shark populations worldwide are now in steep decline, due in part to bycatch and the booming market for shark fins. According to SRI, “an estimated 73 to 100 million sharks are being slaughtered annually. Many sharks take more than a decade to reach maturity.” Sharks also have small litters and cannot reproduce at the rate needed to sustain their population. For this reason, SRI researchers warn that some species are on the fast track to extinction. What role does New Jersey play in shark fin imports? “Most of the fins imported to New Jersey are caught on the high seas from countries where there are no laws against finning,” Levine said. She explained that the fins arrive in New Jersey and are then re-exported to countries in Asia where they are used in various ways, including shark fin soup. Unfortunately, within many Asian marketplaces, shark fins are considered a status symbol. 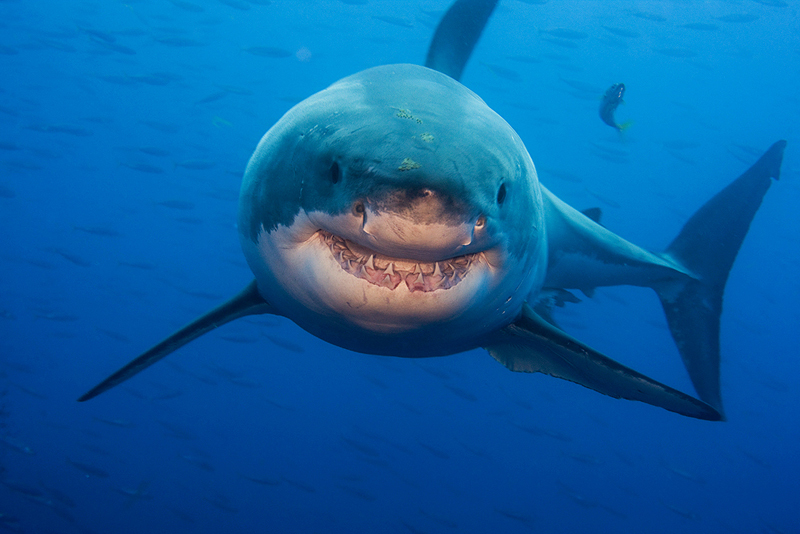 Currently, 11 states have passed laws banning the shark fin trade. While New Jersey is not currently on that list, it may soon be thanks to the efforts of Sen. Raymond J. Lesniak, who sponsored the N.J. Shark Fin Trade Bill alongside Assemblyman Reed Gusciora. SRI wants to change the general population’s fears and misunderstandings towards sharks through outreach, education, and public diving expeditions. Anyone can sign up for free alerts at www.sharks.org or visit its Facebook page. SRI can also be found leading presentations at schools, marinas, surf competitions, aquariums, libraries, dive expositions, and more. They regularly reach out to legislators and other government officials. SRI Diving Expeditions in 2017 include two trips to the Afuera in July and August (July 27-31 and August 1-5). The Afuera is the largest massing of whale sharks in the world. They usually gather off the Yucatan in Mexico where they gorge on plankton and fish eggs. SRI members can sign up on the website or call 609.921.3522. 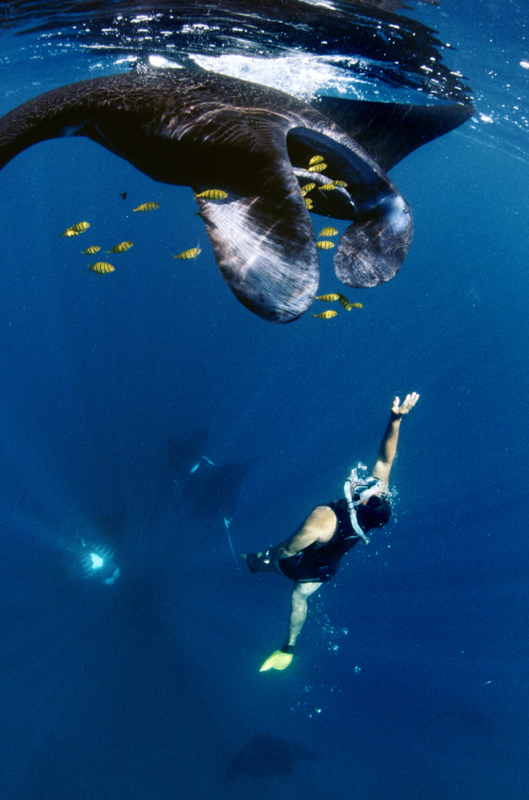 Because scuba bubbles frighten the giant fish species, participants will be free diving alongside the whale sharks. SRI will be running fossil shark tooth hunts for children and adults throughout the summer. The dates and locations will soon be posted on the website. Individuals don’t need to be scuba divers to attend a shark-tagging trip in the Bay of Fundy in fall 2017. SRI members will also be notified about upcoming trips through affiliated organizations such as the Shark Research Committee (SRC). SRC welcomes divers to join them in observing white sharks at Guadalupe Island in Mexico, November 28–December 2, 2017. Want to join the SRI? Easy! Sign-up today at www.sharks.org. Membership is open to all who share the common goal of shark conservation, regardless of age, experience, or location.